Tens of thousands of women could be spared time and anxiety thanks to an instant laser test for breast cancer. Scientists at the Science and Technologies Facilities Council in Oxfordshire are currently developing the new technique, which could also cut NHS costs. 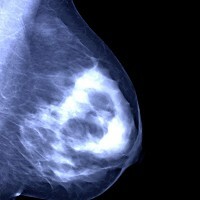 Over 1.5 million British women have breast x-rays or mammograms each year. If the result is abnormal, they will often have a cell sample taken by a needle to determine whether they have breast cancer or not. Although in 90% of cases biopsies come back negative. But the new development uses a laser to pinpoint dangerous changes without breaking the skin. It could also be carried out at the same time as the mammogram - thus removing the need for a second hospital appointment and saving women from an anxious wait. If diagnosed with breast cancer it is vital to take every precaution, such as taking out breast cancer travel insurance when going away on holiday.